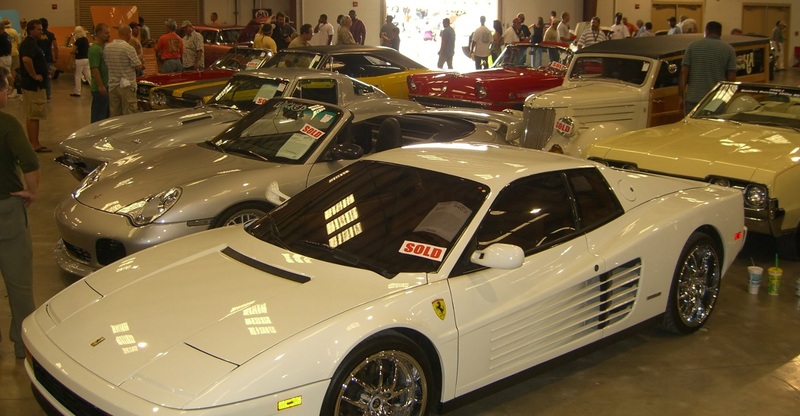 I went to the auction this weekend to look at the interesting cars rather than to buy something other than Mountain Dew. 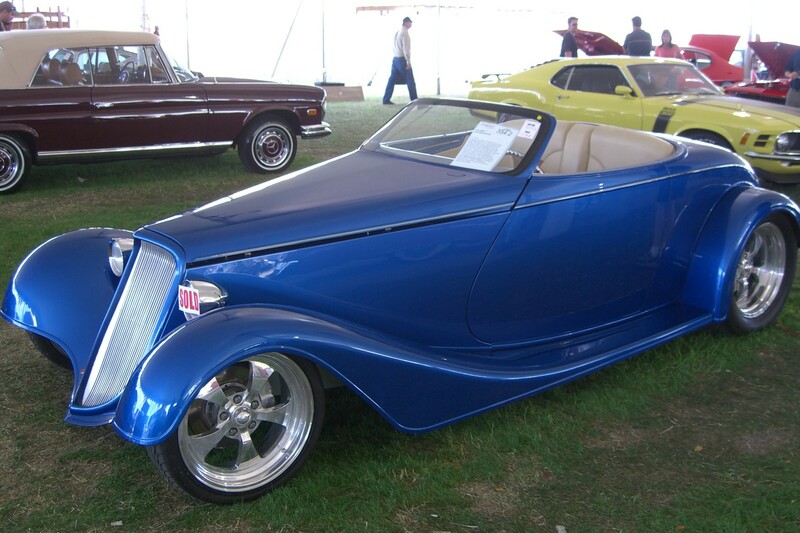 There were lots of great looking cars. Old ones, new ones, exotic ones, and odd ones. I took over 600 pictures in two days. I would have liked to have gotten a history lesson in the development of the combustion engine or suspensions using some of the examples there, but that wasn’t what the event was about. I’m sure there were people on hand with all the knowledge, though. 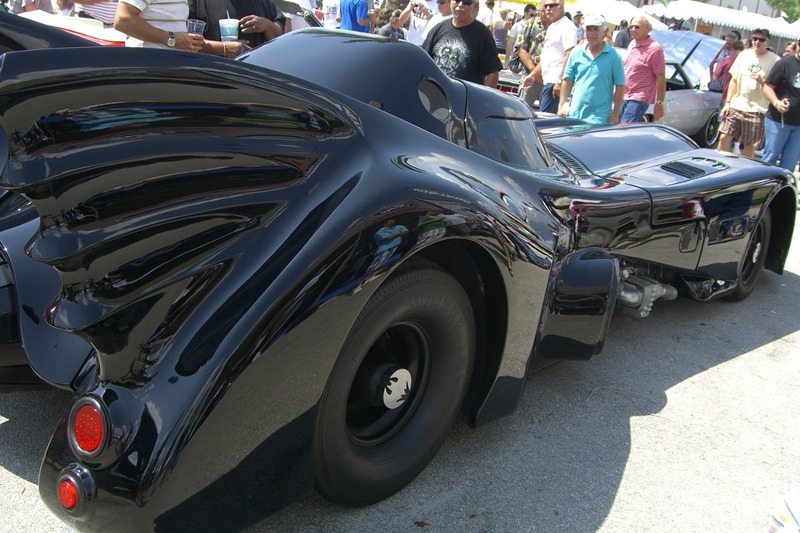 Sold in the auction on Saturday was the Batmobile, as seen in one of the earlier movies without Adam West. It turns out that the Batmobile is a 1973 Buick Gotham Cruiser. I like how next to where the gas goes is a label that reads, in quotes, “JET FUEL”. The quotes are very important since you’re supposed to use your imagination rather than real jet fuel. The car went for $110,000. In the odd category was a 1959 BMW 600 Limousine. It is a small car shaped like a short loaf of bread. Its most distinctive feature is its front door; no hood or engine in front of the driver, just a door. In the building where they collected tickets, Ford and GM were attempting to sell their new stuff. GM just had several cars around and a couple people to sell t-shirts. Ford had lots of cars, mostly Mustangs, a number of people to answer questions, and a stage setup with two Mustangs for a simulated drag race. GM’s display felt dead by comparison, especially when the sound of those Mustangs spinning their wheels on stage reverberated through the building. At the other end of the fair grounds, the Ford/GM competition continued, this time with cars going around a short track. I drive Ford’s V6 Mustang around the track, and wasn’t much impressed. The suspension seemed to work well enough, but I didn’t get the acceleration I expected from a muscle car. The Ford representative who was in the car with me touted the engine as a powerful one, delivering 210HP, and seemed to think I might need to be extra careful because of that. I decided not to mention that the car I own delivers just 13HP less, and didn’t heed his warning. At the start of my run through the track, I floored the accelerator pedal, and . . . wait for it . . . wait . . . got some power. There was a noticeable delay, no more than a quarter of a second, before the throttle responded. It was like the car was asking me if I was sure I wanted to accelerate. My brother, a former Mustang owner, tells me that is normal. When Honda gave their 2006 Civic Si the same kind of throttle lag, there were lots of complaints. Honda almost eliminated the lag with a firmware update that was included on the 2007 models and made available to the 2006 owners. Ford evidently thinks the lag is perfectly fine since they have left it in the Mustang for a few years now. Anyway, I’ll keep my Civic. The driving experience on my way home was better. I probably shouldn’t disclose the details. Ford did do better with their F-150 Raptor ride. A professional driver took me for a trip on an off-road course that included some fast turns and ramps. The truck would get airborne after flying over the last dirt ramp. While on the ride, I kept wondering how the truck didn’t fly off the track, and how it survived all those jumps. It was like a roller coaster ride. Overall, the truck and the driver were quite impressive. I stick to the roads, though, so no sale. If that should change, I’ll need to look at something like that Raptor. I fear I might roll an average truck; turns are just too much fun. After that, I went to the GM side. I was the second to last person allowed in for the day, which was a good thing. GM was a bit more careful who they allowed to drive; everyone had to take a breath test for alcohol. Such drinks were served at the event, and both Ford and GM used the same track, so I’m puzzled as to why Ford didn’t also do such a test if GM is doing it for liability reasons. First, I drove the Solstice. It had a four cylinder turbo-charged engine with 240HP and handled well on the track. Some people at the event seem to discount the car because it doesn’t have at least six cylinders, but power is what accelerates. It also did not have throttle lag, although, like all the cars I got to drive at the event, it had an automatic transmission. I’m not a big fan of them, but it makes sense for such an event. Next, I drove the Camaro. I think it was the 2010 model. It had a good bit more power than the Mustang I tried, although Ford does make more powerful models. The Camaro handled well, accelerated well, and didn’t have throttle lag. I’m not used to its long fairly level hood, but I’d only have trouble with the limited visibility in traffic, and I’m sure I’d cope. I can’t say I’m a fan of its looks; it’s like an evil car for a villain. A villain who needs speed will not be disappointed. Finally, I was treated to one of the last rides on the Corvettes for the day. Three were on the track and ran it together, like a race. Naturally, this was done by professional drivers. I don’t know if they were using a special model of the Corvette that GM doesn’t sell for use on public roads. Whatever model it was, it gave an incredible ride with the help of a driver who knew how to use it. The drivers were having a little extra fun at the end of the track because by this time they were the only ones on it. Lots of power and plenty of traction. I could see myself enjoying one of these if I ever have money to burn. It seems Ford had the better marketing, but GM brought the better cars. Unfortunately, a better product isn’t enough. GM may pass away, but I still won’t get a Mustang. Sign me up . . . for DEATH! I got this one in the mail. Note that none of these options constitutes suicide or terrorism and therefore do not come with any guarantee or expectation of virgins in the afterlife. Further, we are not affiliated with any church or religion, and thus provide no guarantee of an afterlife. However, you will be expected to pay back the loan by making regular payments after your untimely demise. † This agreement is null and void if you manage to out-smart Jaws and survive the assassination attempt.